Day off work sick today – Paleo flu/ cold/ bad back = cranky Holly. After a quick frittata (egg, ham, zucchini, tomato) made by hubby before he left for work, I curled up on the couch with a hot water bottle, some tissues and the new Eat Drink Paleo e-cookbook. Irey from Eat Drink Paleo has put together an inspiring array of delicious paleo recipes with lots of great photos and simple ideas. My mouth was watering just reading the recipes, so I tried to make myself presentable (although may have left Uggs on) and went off to gather some groceries. 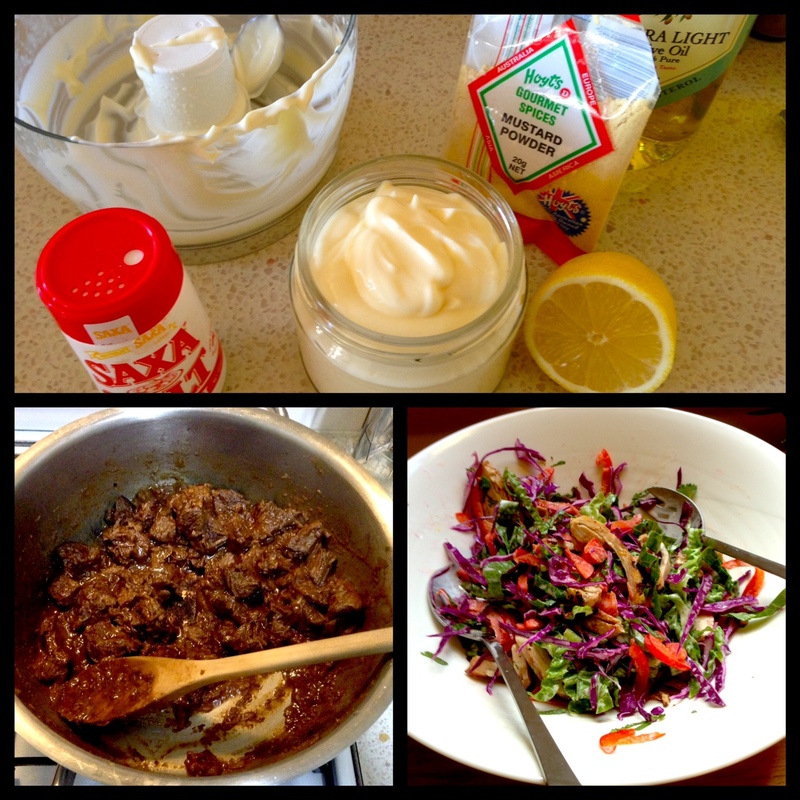 homemade mayo from Well Fed – I then used this for the base of a dressing for a quick chicken coleslaw for lunch – yum! Beef Rogan Josh with cauliflower mash – both from Well Fed – amazing dinner and lots of leftovers! Can’t wait to make these yummy breakfasts! love homemade mayo! It is so easy to make and I will never have to buy store mayo again.